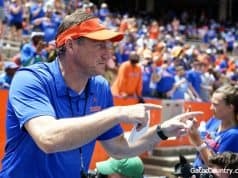 Dan Mullen and the Florida Gators have hosted several prospects this spring committed to other schools and that continued on Saturday. Kentucky offensive line commit Richard Leonard (6-3, 320, Cocoa, FL. 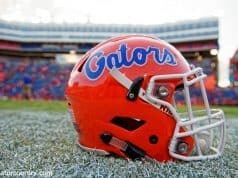 High) was on campus to watch the Gators practice and he got to talk to several coaches. While watching practice, Leonard focused on the offensive line but he was impressed with the overall practice for the Gators. Offensive line coach John Hevesy also spoke with Leonard on Saturday and had a message for him. 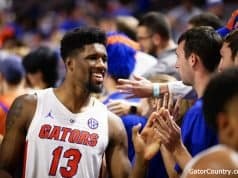 The Gators haven’t offered Leonard yet but on Saturday Hevesy talked to the Kentucky commit about a potential offer. 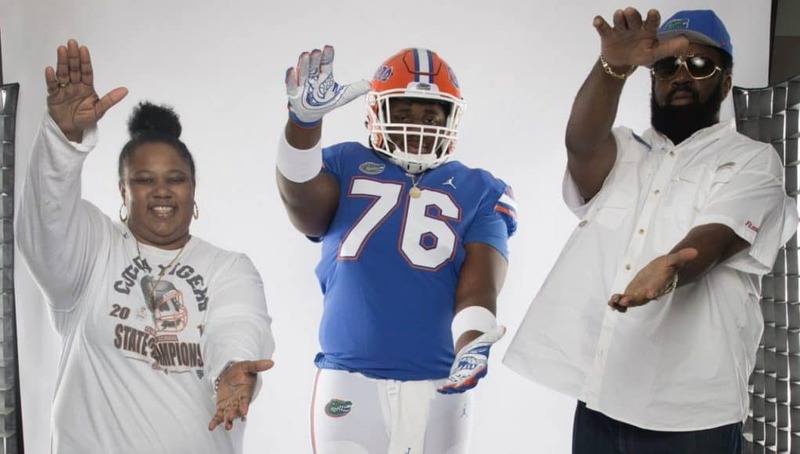 The Gators aren’t the only team talking to Leonard as several other schools besides Kentucky are after the offensive lineman. “Miami, FSU, Tennessee and Oregon are all recruiting me very hard,” Leonard said of other schools recruiting him hard. INSIDERS TAKE: Leonard says a Florida offer would mean a lot to him after he visited Gainesville on Saturday.